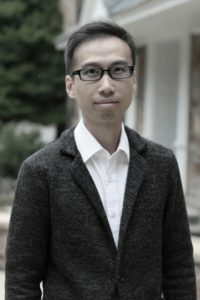 Kin Cheung is an Assistant Professor of Asian Religions in the Department of Global Religions at Moravian College. He has written on Buddhist meditation and healing, practical implications of Buddhist ethics, and Buddhist institutions’ involvement in China’s stock market. His dissertation examines how meditation changes the senses of self, using both scientific studies of meditation’s effects on the brain and Chan/Zen Buddhist descriptions. 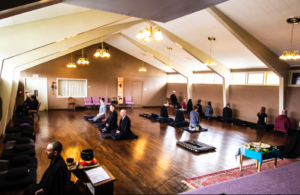 In his lecture, Prof. Cheung will explore how healing and religion are intertwined in a Chinese-American community in New Jersey, where his father, CHEUNG Seng Kan, teaches a small group of regular students an eclectic practice of qigong meditation, Buddhist dharani chants, geomancy, and various Chinese medical treatments. Cheung has taken on the role of a community healer for his students and their social networks. This presentation argues that healing is one avenue for the contemporary innovation and spread of religion in a Chinese-American diaspora community.